In the world of dominant smartphones, it is hard to identify which one is really better than the other. Here we have found you two equally competent devices from leading brands and let us decide which is better. Today we are gonna do a comparison between Oukitel U8 and Mlais MX. Oukitel U8 and Mlais MX both features same 64bit MTK6735 Quad Core processor, but clocked at 1.0GHz and 1.3GHz respectively. At the back of the Oukitel U8, there’s a fingerprint sensor there which is used as extra security for unlocking the phone but Mlais MX lacks this feature. Oukitel U8 has a Rear camera of 13MP and front facing camera of 5MP while Mlais MX features an 8MP back camera and a 5MP front-facing the camera. The Oukitel U8 features a dual led flash with for true tone lighting, but the Mlais MX features only a single led flash. Oukitel U8 have a 2,850mAh battery while Mlais MX is equipped with a 4,300 mAh for strong battery life. Both smartphones are available for purchase with one of largest online retailers EverBuying.net. The Mlais MX is available for a price of $134.61, but you can use “MlaisMX” as coupon while checking out to buy for only $109.99. 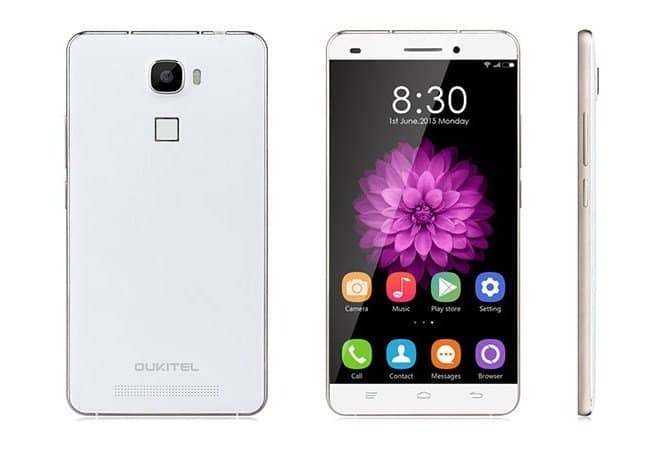 The Oukitel U8 is available for only $113.99 which is the recent price cut from the manufacturer. Both these devices offer almost offer same specs and similar performance. However, Oukilet U8 seems to outperform Mlais MX at least on paper. But Mlais still has its own pros like high battery life and high PPI. So it all comes to everybody’s personal preferences and needs. We still will tell what we feel is the winner here. It is Oukitel U8, yes you are right. Go on then, grab one whichever you want and tell us your experience in the comments below. Next articleI5 Plus Smartwatch great buy @ just $18 [DEAL ALERT]!